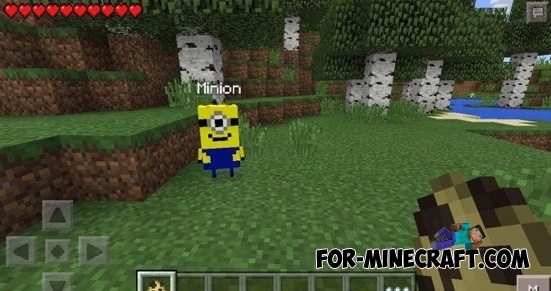 For those players who watched the cartoon "Despicable Me", was developed a modification that will create a new creatures - Minions, in the your world of Minecraft PE 0.11.1! With them will be incredibly fun and exciting to play! You will need to spawn of minions using a special egg. Find the egg is possible with the help of Too Many Items addon.